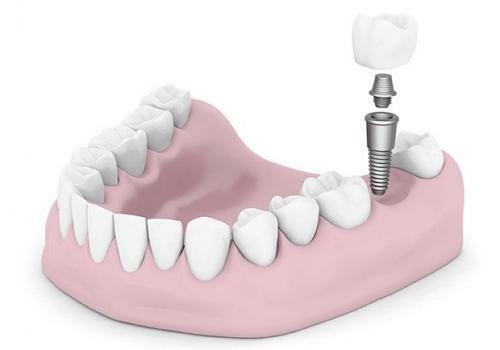 Implants – the new way to replace lost teeth! The introduction of dental implants has been a major breakthrough in Dental Healthcare. The implants present the best solution for many persons who have lost one, several or even all of their teeth. Instead of attaching bridges onto perfectly healthy teeth or use unfixed teeth replacements, now permanent articificial teeth can be used. During an implant treatment we use only local anaesthesia. 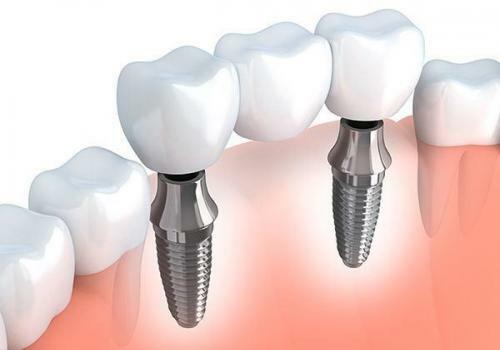 A dental implant is fixed with a screw on the desired place in the jaw. The implant will during a healing period integrate with the bone. After a complete bone integration the tooth replacement (Bite/Crown/Bridge) will be fixed permanently with screws on the implant. The dental implants feel, look and function just like your own natural teeth. Also, neither saliva nor speech is impacted by the treatment. Today dental implant treatment is a standard method within dental health care, giving considerable advantages. A first dental titanium implant was given to a patient in 1965. At the death of the patient in 2006, it was established that the implant had been functioning for more than 40 years. The implant surgery had been done by Dr. Brånemark, who also had discovered the bio compatible quality of titanium, the so called Osseo Integration. In the years to follow, an extensive and quick development of the implant method took place within dental health care. Today there are a number of implant products on the market. At TandCity we provide Implants of various materials, length, width and shape. To select the right implant, we consider facts such as the planned implant position and the existing bone mass. Since implants have different functions, we consider every individual situation, to choose the implant best suited for you. We prefer Anyridge from Megagen because of the unique design that allows us to work minimally invasively, but we may also provide treatments with other implant systems, being in possession of instruments needed for other products. At TandCity Implant treatments are part of our routine. We can offer you a treatment in a relaxed and comfortable environment by dentists with the latest knowledge of implant research. Are you curious? Call us for more information and/or book an appointment online.